Diamonds are made up of complex carbon molecules deep within the Earth. They are formed when squeezed with over 725,000 pounds per square inch of pressure and temperatures of over 2,000 degrees Fahrenheit. Diamonds come in all shapes, sizes, and colors, and colored diamonds make up less than .1% of diamonds available. Out of all, yellow is the most common. These beautiful stones have a long and interesting journey to present day. 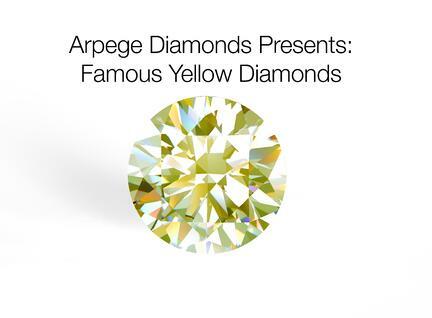 Here are some of the most famous and rare yellow diamonds in the world. 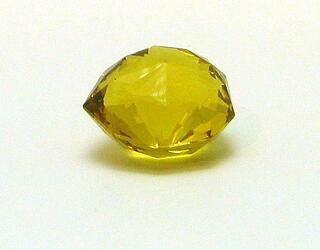 The most mysterious yellow gem in the world is the Sun of Africa diamond, which weighs more than 127 carats. It was exhumed on March 7, 2007 in the Kimberly mines of Africa and then transported to the Netherlands where it was cut and polished by the world’s top diamond craftsmen. The rest of the diamond’s history is vague; the only information known to the public is that the GIA has listed the diamond as Fancy Vivid Yellow with excellent polish and no fluorescence. The measurements, exact weight, etc. remains unidentified, which adds this enigmatic diamond to an exclusive list. Another diamond whose whereabouts remain unknown is the Florentine Diamond. This is a 137.27-carat double rose cut diamond with 9 sides and 126 facets. 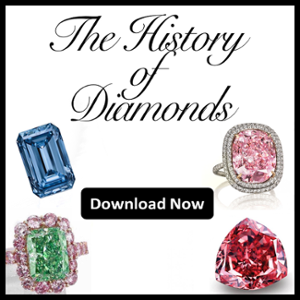 Throughout history, it has also been known as the Tuscany Diamond, the Grand Duke of Tuscany, and the Austrian Yellow Diamonds. These names come from the owners of the stone at the time. The Florentine Diamond has passed through the hands of many people, both legally and illegally. Legend also says that the Duke of Burgundy, Charles the Bold, had been wearing the stone in battle when it was lost and was later found by a foot soldier that sold it for a single coin. 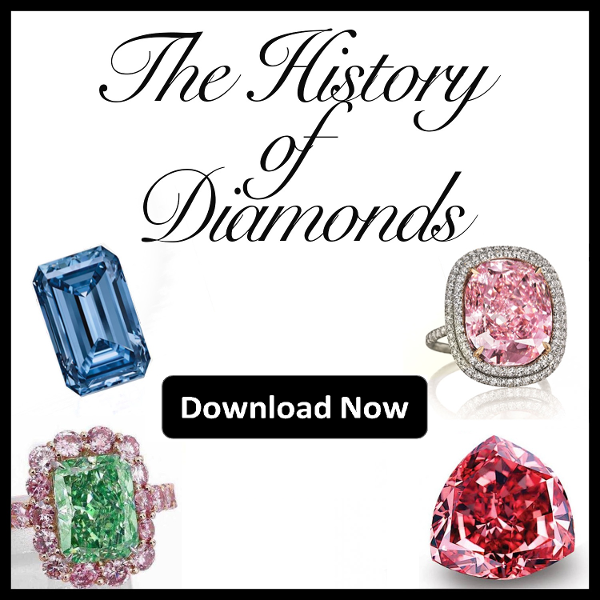 After the decades, wars, and battles, many of the top jewel companies believe the Florentine Diamond has been recut to a smaller, 80-carat stone. The exact location of the smaller stone remains unknown. 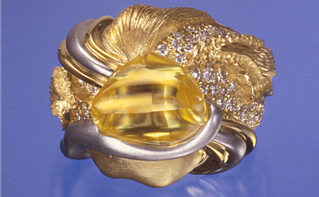 The Kahn Canary Diamond was found at The Crater of Diamonds State Park in Arkansas, which is known for its ‘finders keepers’ policy. The diamond was famously worn by Hilary Clinton when her husband Bill Clinton was in office. A man named George Steep who sold the diamond to Kahn Jewelers originally found the stone. 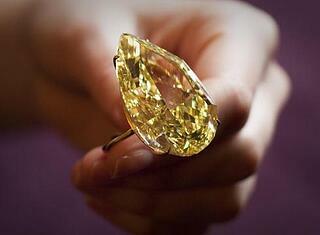 It weighs 4.25 carats and is internally flawless. The Kahn Canary remains uncut due to its natural triangular pillow shape, or better known as a macle crystal. Today, it is set in an 18k gold platinum ring that was designed by Henry Dunay, a jeweler from New York. The Incomparable Diamond is one of the heaviest stones found in the Democratic Republic of Congo, weighing 890 carats in its rough state. It was discovered by a young girl playing in wreckage outside her home. The family later sold the diamond to a local jeweler, and it eventually reached the hands of Donald Zale of Zale Corporation. After over 4 years of analyzing and cutting of the stone, the Incomparable emerged weighing 407.78 carats and with grading as a trilliant cut by the GIA. 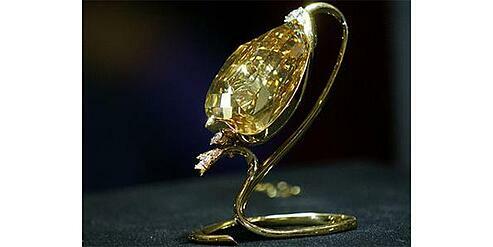 It holds the current record for largest internally flawless diamond and third largest diamond in the world.